1. How big can Nile Crocodiles grow? 2. 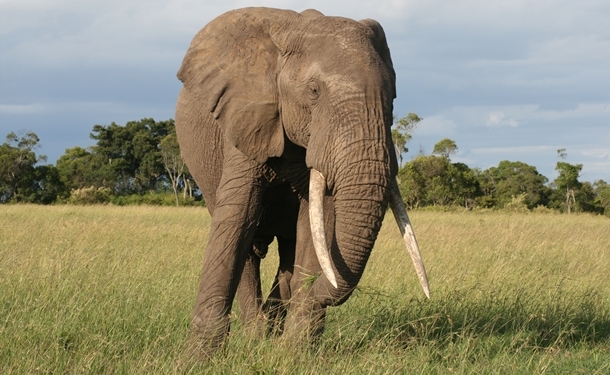 What is the heaviest recorded weight for a single elephant tusk? 3. How much can a Nile soft-shelled terrapin, or water tortoise, weight? 4. The Black Mamba is Africa’s largest dangerous snake. How many men could it kill with its average reservoir of venom? 5. What is the largest frog found in East Africa? a. The Kermit, growing up to 15 cm in length. b. The Bull, growing up to 20 cm in length. c. The Goliath, growing up to 1.2 m in length. 4-5: Bull elephant: A monster amongst trivia quiz players. 3: Wildebeest: A solid performer but with a slightly confused look. Previous PostOlolchura School Project – update 17 June 2014Next Post10 things NOT to do on safari (and what to do if you do them).